Enjoy a stay at one of the Pennsylvania bed and breakfasts while on your vacation to Pennsylvania. B&Bs offer cozy accommodations, especially for romantic getaways. Some B&Bs cater exclusively to couples, so be sure to inquire at a specfic B&B if you're looking for overnight stays for the whole family. Bed and breakfasts are usually larger, private homes that have been turned into overnight lodgings. Some offer rooms with private baths, while others have 2 or more rooms sharing a bath. Some PA bed and breakfasts offer meals, others do not, so it's best to inquire before you book as to which meals, if any, will be served. Guests usually eat together in the B&B's dining area. 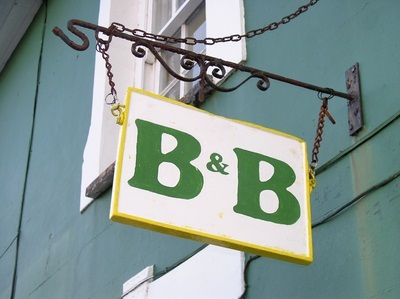 B&Bs are cozy establishments with each lodging's owners living on the premises and cooking the meals. If you like a feeling of home away from home on your vacation, you'll probably enjoy staying at a bed and breakfast Pennsylvania style. Hotels are larger and tend to be a bit more noisy. Inns have fewer people and are great for couples or families wanting quiet. We hope you find the perfect inn to enjoy during your vacation to the Commonwealth. If you're looking for more down time and quiet, you'll love staying at one of these. You may find yourself returning and visiting more just because you love the inn so much!